When Dr Mahathir Mohamad set up the National Economic Advisory Council (NEAC) in Jan 1997 as part of the goverment's response to the currency crisis then, a lot of people said stupid things about him, his administration and the country (ie all of us). Those stupid remarks were made by our own people, too: bankers who took out money and parked it in Singapore, punters betting against their own currency, politicians who said Mahathir was taking us on a short cut to hell, even wealthy editors (there were not many of them then but still more than today) who openly and unashamedly blamed the prime minister each time the ringgit dropped against the dollar or their shares took another beating. These were not stupid people; they were just saying stupid things. Even the deputy prime minister was trying to convince some of us that his boss was growing senile and that we should be running to the International Monetary Fund for help. We went through all that, and more, then. With the benefit of hindsight, we should stop making stupid remarks about the setting up of the Special Economic Committee. 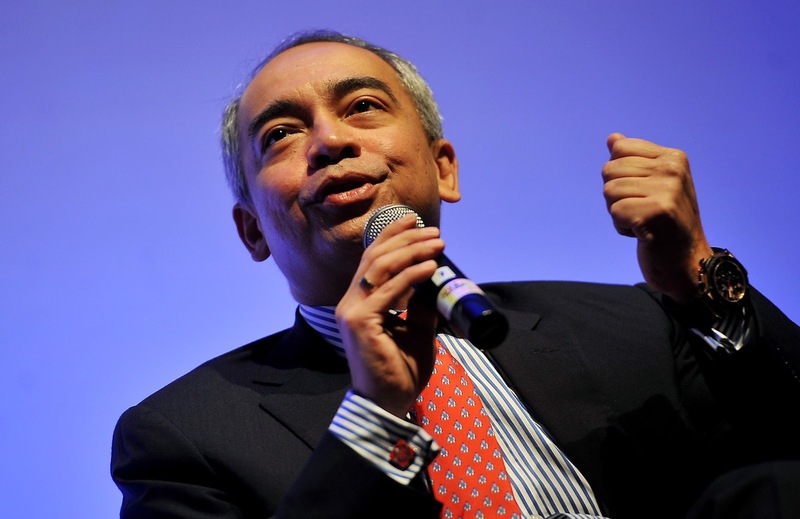 Yes, I mean we - you and I - and not just the power people that Nazir Razak was referring to the other day, just before he was called in my his brother the prime minister to do national service via the SEC. 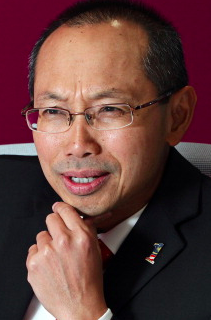 This is the time to show support for Minister in the Prime Minister's Department AWO and his committee of extraordinary Malaysians, including Nazir, Khazanah's Amok, and Nor Mohamed Yakcop. AWO's SEC has got to be transparent from the start about what it's planning to do in order to minimise the impact of the current economic crisis. In this day and age, including the people online would be as crucial as engaging them face to face, and excluding them is a sure recipe for disaster and failure. This alone makes the SEC's tasks already more challenging than the NEAC of the 1997/1998 era. And not just the central bank's governor, the absence of politicians from the Opposition will also be seen as disturbing to some people. Good thing - I think - that the ex-banker AWO is not your typical politician so he will pick the best brains regardless of race and political affiliation to strengthen the SEC. To AWO and team, I wish you all the best. "Two weeks after the floatation of the Thai baht on July 2, 1997, the ringgit was allowed to find its own level. By January 1, 1998, the ringgit had depreciated by 35% and the Kuala Lumpur Composite Index fell by half. The currency depreciation and falling stock market worsened in 1998. Meanwhile, the rising number of corporate failures and non-performing loans affected the willingness of banks to lend. The country was in the grip of a severe credit squeeze, and the full impact of shrinking demand and rising corporate distress were felt by the entire economy ...."
yes lets give them our fullest support. tapi takyahlah panggil diorang group of extraordinary malaysians. over dramatic la lu. saya rasa seluruh rakyat malaysia memang extraordinary. despite all the mudslinging, i find it truly remarkable that we have not killed each other yet. More theatrics to absolutely snuff out his diabolical intriques a.k.a. "Tai Gor 2.6 billion"? this is way too late. yes its better have one than dont have one. but it seems to me they do this for the sake of doing it - like saying to people 'i am doing my job'. dont tell me they dont have the data to see this ringgit going down. and going down too long period already. if they dont then they should resign. appoint me. but yes this is necessary. NEAC met every day. how often this SEC going to meet or whether they meet in twitter, remain to be seen. NEAC got us out last time and they did that because of one very good administrator the PM i meant, and the group was full of financial people who did real job. now SEC got one administrator whose his image going down everytime he talk about something and of course because of his own fault, and an SEC of full of people minus the one that really matter the governor of main bank. but lets see what these guys going to do. the less talk the better a few had said and forecasted this ringgit doing over 4.00 to a usd until the Q2 or Q3 next year. something has to be done now. What do you expect to get from this team? These are the very same people surrounding PM Najib with all their fancy talks and maneuvers, bringing the country to what it is now. Rightly said, during Tun M and Tun D time, the NEAC met everyday to review actions and results. This committee is a JOKE. Don't worry, Rocky. Mazlan, Nazri, and Zahid are not in, so chances of hearing stupid things are comparatively low. If ever there is barking up the wrong tree, this is it. A red herring. The nub of the problem in Malaysia right now is politics - not economics. It has now become very clear that Najib is preparing to continue running the country by using the armed forces all along. This was what his father did to have Tengku AR replaced, that might not be a bad idea after all. He would then be able to have the power to have the repugnant, avaricious & crafty half breed Mahathir placed under arrest. However make sure to have him sent to where AI is and also without the need to hold the next GE and it will then ensure his continuation to remain in Putrajaya 'legitimately'. I have always wondered why hasn't Najib brought in the armed forces instead of all the unpopular impediments he took thus far, at least now he doesn't have to explain to any one on his actions and decisions to get the armed forces involved. After all the armed forces have never not done anything at all and is getting paid to shake their bumps and itherefore it is time for them to do something to justify their existence ! Only If najib steps down than ringgit will be ok...I don't see NEAC can do much.Look like they are so powerfull to an extend can decide who can be at the helm. bro I tot u say our country is still stable with all that nonsense about high income stability , you lucky you are not my son ! otherwise I am going to smack your buttock for misleading the country . enough rocky u will retire as part of the conman . No one was hurt until this days, even the RM going down south.. If this is thailand or indonesia or south korea,or south america there will be bloodshed everywhere.